Social media marketers rely upon content curation as part of their social media strategy. Not only does it help support a campaign with third party validation, but it can build a company’s brand. Take advantage of three benefits of content curation to achieve social media marketing objectives. Curating content allows a company to provide content of value from other sources, in addition to original in-house creations, to support a marketing campaign. When choosing to curate content, go beyond general attribution. Begin with introducing the author and follow with the value of the content to a target audience. Add in a quote or statistic from the piece as an example of the quality content to come. Ways the article could be enhanced. Use the team’s expertise and experience to add to the value of curated content when used as part of the organization’s social media strategy. Help highlight the most important takeaways and guide viewers as they consider the points being made. Building a microsite or destination site can help marketers answer the questions and address the challenges of a highly-specialized sub-group. Microsites are known to help establish thought leadership, increase engagement and support lead generation efforts. Content curation works to add value to visitors and assist in showcasing the expertise of an organization. Better connection across the global big data ecosystem. IBM can afford to develop original content and does not need use content curation to fill any content generation gaps. It purposefully uses other company’s content to create additional dialogue and resources for their end-user. Organizations generally select multiple channels through which they engage and build a following on social media. Facebook, Twitter and LinkedIn are just a few of the popular platforms where content curation becomes an important asset for the social media marketer. Sharing other people’s images, content, tweets and videos can help educate audiences, attract new prospects and build a brand. In addition, using @ and the author’s name in a comment may help establish new connections with thought leaders and generate additional conversation. A great thing about social media is that businesses can tap into new groups and potential followers based on who clicks, likes, comments and shares. The Child and Family Center uses curated content on their LinkedIn page. Whole Foods Markets harnesses visual elements to appeal to their audience on Pinterest. Use curated content to offer additional value and entice an audience. Add value with less effort and complement the original content being offered on social media channels and website blogs. 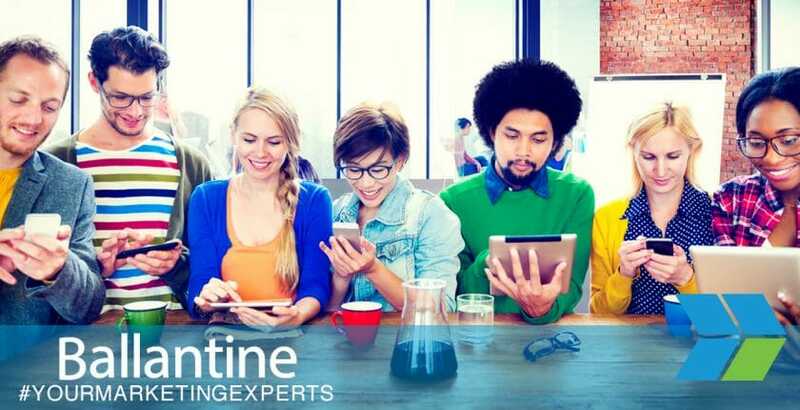 Contact Ballantine to learn how to integrate content curation within social media marketing efforts today.